The Celtics forward delivered one of his best performances of the season as he led with 30 points, seven rebounds and four assists, coming off the bench to power his team past the defending-champion Warriors, 128-95. "One to build off, no doubt," Hayward said. "That's the goal." 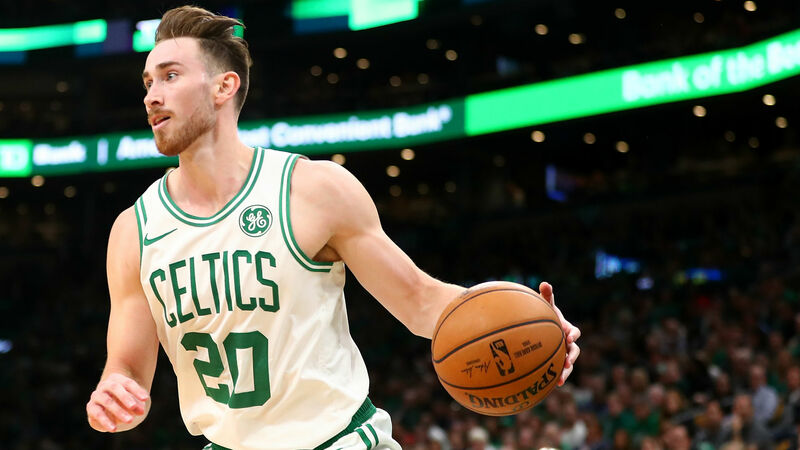 Hayward spent all of last season on the sideline after suffering a gruesome leg and ankle injury just minutes into the regular-season opener against the Cavaliers but has progressively worked toward his old form. After scoring just 26 total points on 8-of-26 shooting in the last five games — four of which the Celtics lost — Hayward went 12-for-16 to lead the team in scoring Tuesday at Oracle Arena, marking the third time this season he has had at least 30 points as a reserve. Kyrie Irving followed with 19 points, while Jayson Tatum added 17. "I understand it's one game," Hayward said. "You are going to have ups and downs in the season. I'll try to build off the things I did correctly tonight, and the next time you have a bad game, try to learn from that one." Boston is 10-2 this season when Hayward has scored 18 or more points. The Celtics (39-26) sit at fifth in the Eastern Conference and continue their road trip through California with games against the Kings (32-31), Lakers (30-34) and Clippers (37-29) through Monday.